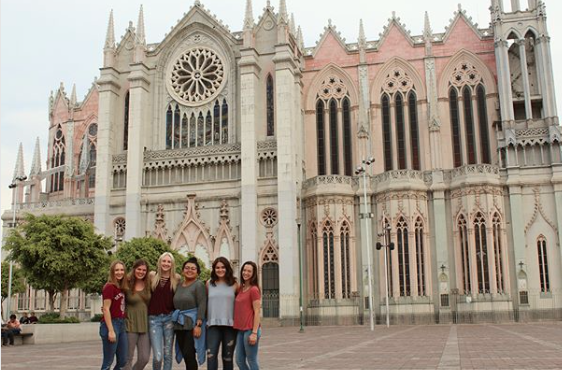 Get all the details about what a semester in Mexico looks like with ILP. Sure, you can hop on a cruise and stop off in Mexico or stay here on a resort, but calling Mexico home for a spell gives you way more than a short visit can. With rolling hills peppered with colorful cities, crumbling Mayan ruins to explore and miles and miles of glittering coastlines, This country is one of the the best suited spots for volunteers who are looking for adventure. Teach English here, and you'll be living close enough to a dozen cities close enough to see on the weekend, with everything else Mexico has to offer, just a short flight away. See the touristy beaches, but also discover hidden underwater pools. Visit places like Cancun, but only long enough to hop over to a private island only the locals know about. Truly experience a culture most people just get a small taste of. One quick look at all there is to do in Mexico and you'll be ready to fill out your application to volunteer here. 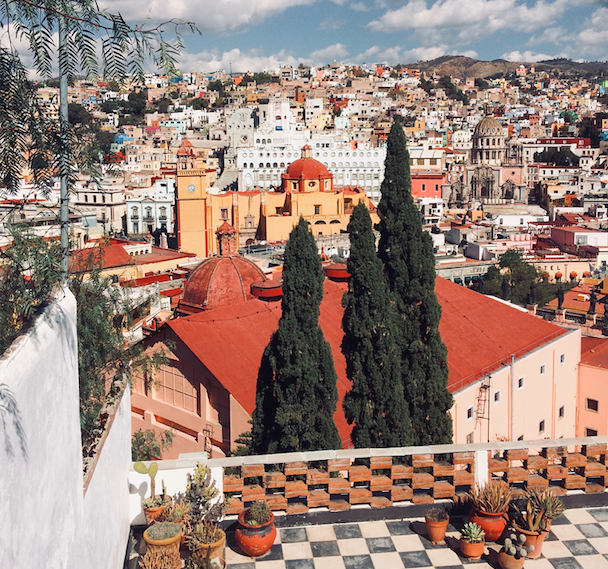 Spend your days teaching, touring your town square with tacos in both hands, and soaking up the colorfully vibrant culture. No matter where you are serving, the overall experience of being an ILP volunteer is similar in every country, but each location has its own unique aspects and adventures ... the meals volunteers eat in China are going to be lots different than the meals in Mexico! Things like housing, meals, teaching schedules, group sizes, etc all vary depending on what country or even what city you're volunteering in. These things even change from semester to semester — your experience may not be the same as another volunteer's, even when you're in the same group. Wake up and join your group for breakfast. This morning? Mexico's version of corn flakes, topped with bananas ... just like home, right? You join in the quick post-breakfast clean up and pack up your backpack to take the short walk over to your school, past colorful houses and palm trees. Your group lives in a house in a neighborhood pretty close to where you'll be teaching. 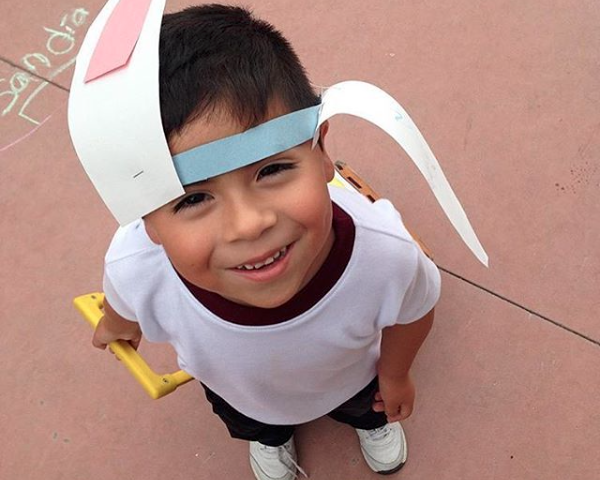 This week, you are teaching "Arts and Crafts" for your younger students and since Easter is just around the corner, you had do something holiday themed ... how could you resist dressing up your cute kids in paper bunny ears? ILP classes are activity-based so students are having fun and are engaging with you all while they learn English naturally (so it's totally fine if you've never taught English before). Your classes are small, so you know each of "your kids" by name, know their personalty, and see how they learn best. When it comes to your classes, you'll have cuties like Santiago and Iker and some troublemakers who make you laugh. Saying goodbye is going to be tough! After a couple of hours of teaching, you walk over to the little school cafeteria and tuck into a typical Mexican meal, full of rice and beans and your favorite, Aztec Cake, which is kind of like Mexican lasagna. Especially for lunch, you'll be eating like the locals, so lots of cabbage slaws, tacos, marinated chicken and pork, red and green sauces, along with rice and beans. After you eat, you have an hour or two teaching your older students (today, you're teaching Science, complete with Oreos that look like the different phases of the moon) then you're done for the day! After you teach and clean up your classrooms, your group walks back to your house, and uses this time to start planning your weekend trip to Leon — there are rumors of a festival happening this weekend, but if not, you can always do some major shopping in the "shoe capital of the world". Plus, you need a bit of time to work on your online class (if you're not taking a break from school) and write in your journal about that funny thing your kids did in class yesterday. You're perfectly welcome to spend the rest of your day hanging out with your group in your house, but that makes for a pretty lame semester ... plus it's tough to stay inside when you can take a short walk out to get some refreshing aqua fresca outside for an afternoon snack. A few of you are ready to head to the city square but end up getting a tiny bit sidetracked and watch a local soccer match unfold ... luckily there's a cart selling your favorite drinks. You do your best cheering with fresh aqua fresca and horchata in hand, then stroll the streets until you make it to the big fountain and cathedral in the city center. There always seems to be some sort of outdoor concert or someone with a big speaker playing music here so you guys hang out in the square, feeding pigeons and people-watching. Instead of heading home for dinner, you guys just have the biggest craving for your favorite taco cart; time for gooey quesadillas and piles of tacos el pastor (foodies, you are going to love all of the snacks and street food in Mexico). Take out your phone and snap one of those iconic Mexico sunsets, complete with palm trees and cotton-candy skies. Walking back with stomachs full of tacos, your Local Coordinator drops by at your group's request to go over some basic phrases in Spanish before you all call it a night. Like we mentioned, the experience is different for everyone. We give you the tools to live abroad, the free time, and the meaningful purpose of service but then ultimately you're responsible for what you get out of the semester — we can't recommend enough getting out and exploring what Mexico has to offer. You could head to your local bakery on a Saturday morning instead of sleeping in. Grab your group and hop on a bus to one of our favorite weekend getaways. Hang out in your city square and sing along with the Spanish music being played, or make a goal to stay outside for the sunset every night (they are so pretty here). Do a photoshoot on each other colored walls in your neighborhood — you'll see orange, yellow, pink, blue, green — you name it. We know you need your down time, but you'll come home with a better semester if you're adventurous. Some dive further into the culture by studying up and trying to learn some basic Spanish in their free time. Or maybe you create the ultimate bucket list for your semester so that you make the most of every day. ILP volunteers have scheduled vacation time throughout their semester as well as every weekend off. This gives you plenty of time to go travel to your favorite beaches and jungle ruins in Mexico, plus you even have time to hop over and see places like Nicaragua, Costa Rica, Panama or even Peru if you'd like. You'll have your travel plans approved by an ILP director to help ensure you're traveling to safe areas, but otherwise it's really up to you and your group where you'd like to go. If you are having a tough time narrowing it down, take a peek at the top places to vacation to, according to our volunteers. In our book, Mexico is one of the best countries to visit if you want to do a lot of traveling. Most cities are incredibly well-connected by bus which means you could spend every other weekend bussing to a different city (for as cheap a few dollars! ), and flying to places that are farther away on vacation days. The buses are very affordable to ride and are a bit of a cultural experience as well — which is worth doing at least once! As a head's up, things tend to run on a looser time table in Mexico; people are late, meetings start late, even the bus runs late, so just be prepared to relax and realize that the entire country is more relaxed about timing and just enjoy the ride. When it comes to flying places, volunteers are just a bus ride away from Mexico City, which is the biggest transportation hub in all of Mexico. We suggest using these airlines to get cheap flights within Mexico and advise volunteers to fly to the beaches because they are father away. That way you can maximize your time there instead of spending your vacation riding the bus. If you're interested in spending some of your vacation time outside of Mexico, you should know how to get a cheap flight from Mexico City to San Jose, Costa Rica. From San Jose, you can get to everywhere else in Costa Rica, and find good fares and bus routes to Nicaragua. If you'd like to visit Peru, we suggest flying out of Mexico City. We're not even a little embarrassed to admit that a large portion of our favorite experiences have to do with food! There is so, so, so much to see in Mexico, and the best part about living abroad for an entire semester there (instead of a quick two week service trip, or short stop on a cruise) is really experiencing the culture. You'll be familiar with the best parts of your city — the best bus routes to your favorite weekend trip, the best tacos in your city, the prettiest streets, etc. and you get the chance to meet some awesome local friends. . Rather than a place that you've traveled to, it starts to feel more like home! Sip some fresh horchata or strawberry horchata ... Yum! We are accepting female applicants for this country. Due to housing limitations, there have been the occasional spot for married couples, but it's a rare exception. There are usually 4-6 volunteers per group each semester. We currently have two groups in Mexico, both in cities rather close to each other, Irapuato and San Jose Iturbide. Both are about 4ish hours north of Mexico City, the country's capital. Summer semester is generally early May - mid August. 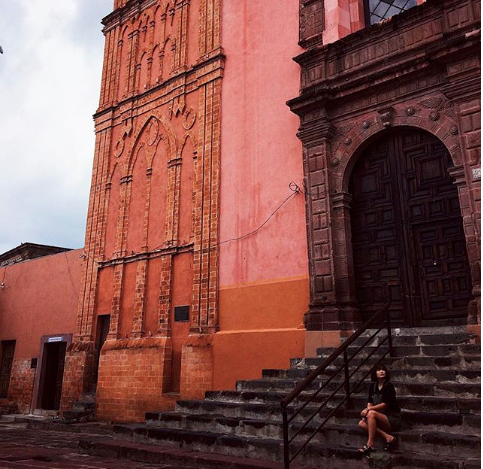 The program fee to participate as a volunteer in the Exchange program in Mexico is $2,520. This includes your roundtrip international airfare to Mexico, housing, meals, visa, and training and support for the entire semester. We also recommend budgeting around $1,500-$2,000+ for any traveling and purchases you make while you live abroad as well as things you may need that the program fee doesn't cover (like a passport, health insurance, airline baggage fees, etc). Volunteers will be living in a house with their ILP Group. Overall, Mexico may be a dessert, but you'll see a couple of distinctive seasons during your semester. You'll want to pack everything from light flowy dresses and pants with a warm pullover (and an umbrella). The weather also changes quite a bit depending on where you are in Mexico, so you will want to pack for your home-city and your vacation plans. You'll find some rainy spring days, some hot summer days and a cool crisp fall in this country. Read this for a bit more on the weather in Mexico. We recommend applying as soon as you know you're interested in volunteering because the spots in Mexico are limited and do start to fill up. Also, as soon as you apply you'll be assigned an ILP representative who can answer all of your questions, give you tips, and just be your go-to person when you need help. Love the idea of volunteering somewhere sunny? We have our top countries for volunteers who love the sun. Sometimes we interview volunteers about how their semester went! 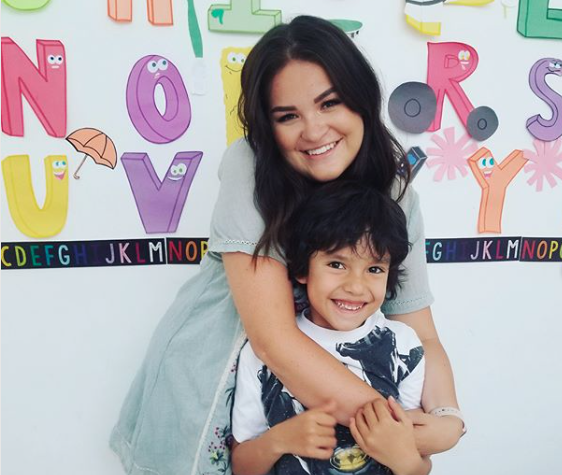 Read about all the reasons Kelsie loved Mexico, or Nicole's favorite vacations. We also have a pretty rad list of the best parts about Mexico all in one place. Follow #ilpmexico to discover volunteer's personal accounts and follow them. We even have an Instagram account called @ilptakeovers where we ask volunteers who are in-country right now to take over and post some stories about what they're doing and put a post on the feed. Volunteers are usually featuring what a typical day looks like, what the meals are like, info about vacations they are taking, things to pack (and not to pack), what their apartment looks like — you know, all the things you want to know from their perspective. If you'd like to receive more information about volunteering in Mexico (or any of our other locations all over the world), drop your information below.